Dolphins aren't like fish, which can breathe underwater. They're mammals. That means they must get to the surface to breathe air. They can only hold their breath under water for about seven minutes. That includes everyone's favorite, the bottlenosed dolphin. So how do these watery animals sleep? They simply shut one eye at a time. While sleeping, dolphins let one half of their brains nod off. The other half keeps an eye out for trouble. For instance, if the left side of the brain is sleeping, the right eye stays open. So they always know when it's time to surface and breathe. And when they quickly need to get out of possible trouble. Sleeping dolphins switch from one side of their brain to the other about every two hours. They do it until they get a full eight hours of sleep a day. How much Harry Potter stuff is enough? Wow this is very amazing how Dolphins sleep with their eyes opened. I think the Dolphins are very lucky to sleep with one eye because they can avoid danger, like from sharks for example, when the shark tries eat the dolphin, the Dolphins swim away. I don't agree that Dolphins keep only one eye opened while sleeping. I learned that Dolphins keep their eyes opened while sleeping. I am amazed because I didn't know that Dolphins sleep with their eyes opened. To get to a surface after about 7 minutes because that's as long as they can hold there breath . In the sleeping case the dolphin slowly closes one eye at a time and keeps the other eye open . So half of the brain is sleeping and the other eye is open and the brain still notices when things are coming and watching to see if any danger is coming. 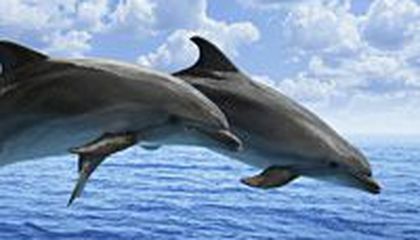 How do the dolphins have the left side of the brain sleeping, and the right side of the brain working to see if there is any danger or when it is time to come up from the water to get air? This article is about how do dolaphents go do sleep. 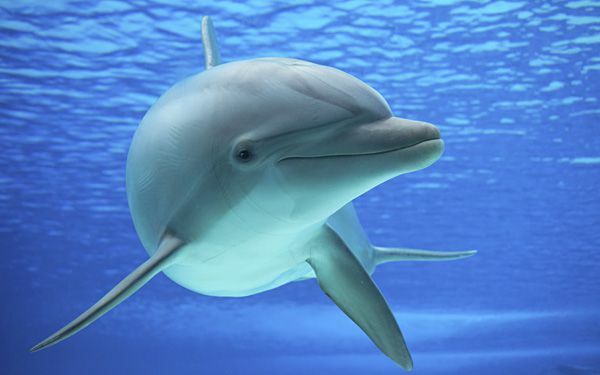 Dolaphents can not breath under water like fish can,they are mammals so they need to breath about every seven minutes. So this is how they sleep...they close one eye at a time so one eye can see if there is troble or to know when to go to the surface to breath. They swich eyes every two hours and keep doing that until they have been sleeping for eight hours.Thank you for listing. It's cool how dolphins sleep with one eye open, but how do they know whats coming the way of other eye if it's closed? Wow that is amazing. How do dolphins use use half of there brain to sleep and work on the other half. If dolphins are mammals and are able to use half of their brain can we human do that to also. How can they do that when they are sleeping and do we do that when we sleep walk. If the dolphins do that then how come they dont hear the splashing water in the ocean.